How can members contact the support bot? Once added to your organization's app, members can easily use in app messaging to reach out to the support bot. 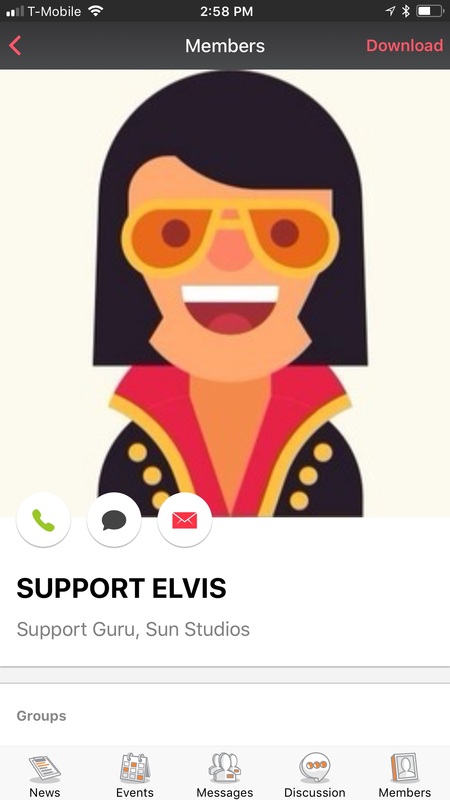 Members can find the Support Bot (Support Elvis or Zoey) by searching the member directory. From there, members can simply click on the black chat icon in the profile to start a direct message with the Support Bot.